When your last name is Traurig in the equine industry, it comes with the weight of expectation attached to it. For Natasha Traurig, daughter of dressage Olympian Christine and world-class hunter/jumper rider Bernie, the family tradition of excellence in horsemanship has come through in more than just her genes. Natasha, 27, is currently the manager and rider for dealer Neil Jones Equestrian USA’s West Coast branch, based near San Diego, and her hands-on approach is the result of years of being nothing more than your average barn rat, spending dawn to dusk each day with her favorite creatures. It is experience that she wouldn’t trade for anything. Natasha’s parents instilled in her the importance of impeccable attention to detail as well as the necessity of hard work. The family did not have the money to finance strings of top horses, and so in order to progress their daughter learned to do the very best she could with each mount that came her way. Natasha spent the entirety of her day in the barn watching and working, and when she wasn’t there, she was studying YouTube videos of top riders. Natasha worked hard to hone her skills to help horses to develop the necessary adjustability and responsiveness required in the jumper arena. But her father’s insistence on finesse and style in all of her riding meant that Natasha became known for bringing the accuracy and poise of an equitation rider to the jumper ring. She brings the same grace and eloquence to her description of all the people and horses who surround her. In her early teens, a sponsor purchased a jumper named Edison with the intention of him becoming a Young Rider horse for Natasha. But it turned out that he wasn’t quite competitive enough in the jumper ring, and suddenly she had her first opportunity to compete in 3’6” equitation divisions. 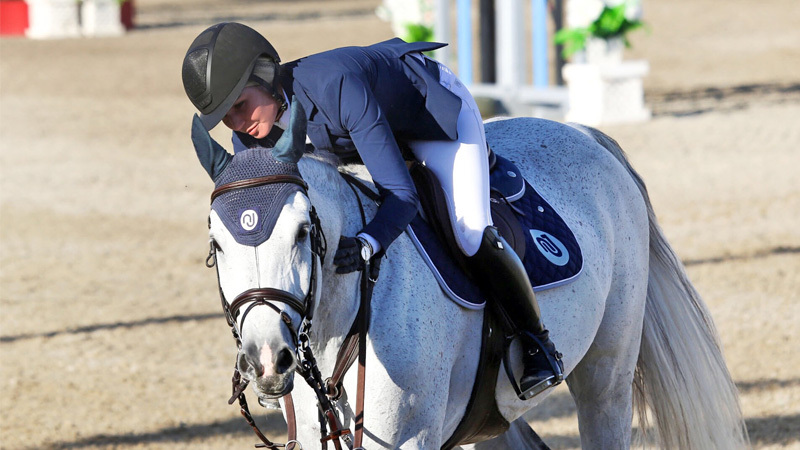 In 2007, with the assistance of her father and top equitation coach Karen Healey, Natasha took Edison to the USEF Show Jumping Talent Search Finals—West at the Los Angeles Equestrian Center. With high marks in the flat and gymnastics phases, Natasha entered the final round near the top of the standings. But the last phase didn’t quite work out quite as she planned. Edison was sold shortly after they competed in the Talent Search Finals, leaving Natasha horseless for a period. A friend of Bernie’s mentioned that a former grand prix horse had been donated to a lesson program after his previous owners had run into some issues related to soundness and performance. The 16-year-old Hanoverian, named Roger That, was the same age as Natasha, who bought the gelding for $1. He is the first horse that Natasha considers to be truly hers, and a true diamond in the rough. Natasha Traurig on Roger That. Natasha retired Roger the next year, in 2009, while she was enrolled at the University of California—San Diego, where she studied communications. During the course of her studies, which she completed in 2014, Natasha worked as an exercise rider for various trainers, seeking to expand her base of knowledge. “I think it is really important to learn from a lot of different people,” she said. “Everyone has their own perspective, and for me it was pivotal to learn from different professionals.” Natasha learned just as much from the horses as their trainers, noting that while growing up she had not had the opportunity to ride lots of different types of horses. 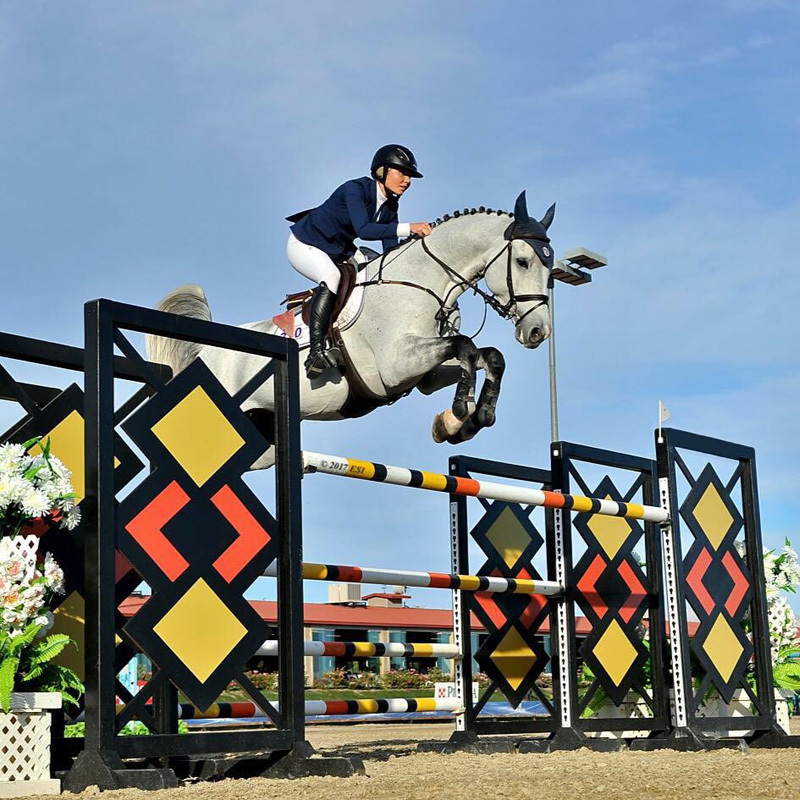 One of her former employers, international rider Simon Nizri, gave Natasha valuable experience both managing and competing when he hired her on as an assistant trainer during her college years. Upon her graduation, Natasha worked for Michelle Parker, owner/trainer at Cross Creek West in San Marcos, California. Many of the horses in Parker’s program come from their own breeding program, located at Cross Creek Farm in Tucson, Arizona. Parker mentored Natasha in the art of developing young horses, an experience which Natasha relished. Natasha met her current boss, Neil Jones, at a horse show; Jones’ business has branches in Europe as well as on both coasts in the U.S., and has been matching high quality horses with satisfied buyers for more than two decades. Natasha was looking for the next step in her career and wanted to go to Europe for a period of time; she knew that Jones had connections abroad. He assisted in finding her a placement there; when she was ready to come home, Jones told her that he was looking for someone to manage the West Coast base for his business, and that he thought she was the right person for the job. Jones’ European background is heavily influential in the program he lays out for each horse; Natasha has welcomed the opportunity to continue to learn from someone whose longtime success is grounded in solid horsemanship. She is the main trainer responsible for eight West Coast-based sales horses; the team is currently based at HITS Coachella in Thermal, California. Her days are both full and fulfilling. Daily life at a sales barn varies, and the schedule must accommodate visits from prospective clients along with training and showing. Natasha is grateful for the assistance of her working student, Madison Dunham, who helps keep the flow in the barn moving. But that is not to say that Natasha spends all of her time in the saddle. Natasha’s attention to each horse includes overseeing their nutrition to ensure their best performance. “You can train for the best results, but if you miss that step you won’t produce the results you are hoping for,” she said. One of the current sales horses, Choose Me, a 12-year-old gray Holsteiner gelding, has proven to be extremely special to Natasha. “He has helped me step back into the grand prix ring with confidence,” said Natasha. She and Choose Me have been third and fifth in open welcome stakes at HITS Coachella in recent weeks and on Feb. 2, they took third in the $30,000 SmartPak Grand Prix. 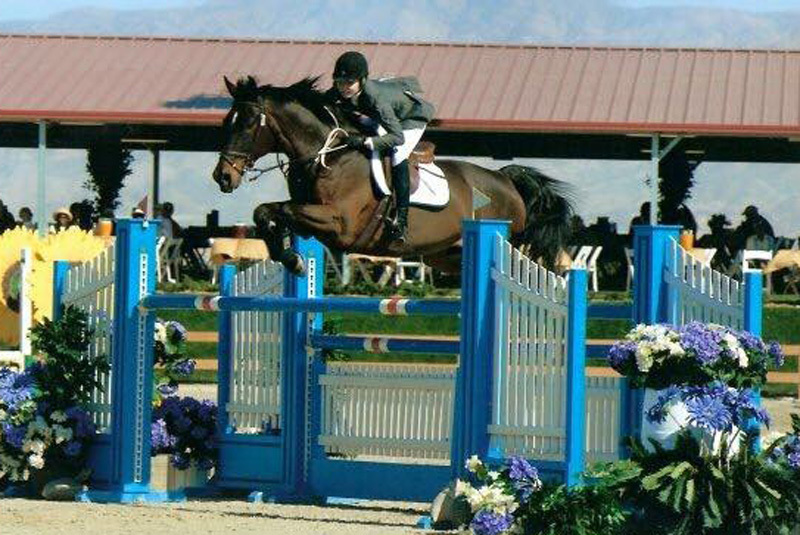 Most recently, they placed ninth in the $30,000 SmartPak Grand Prix on Feb. 11. While her main focus is on the Neil Jones sales horses, Natasha is continuing to develop her own business, Traurig Tradition, through which she accepts horses in training and teaches private clients. In the future, she hopes that the business will grow and allow her the opportunity to develop more young horses. “I love seeing their daily progress, even the sassy wild days,” said Natasha with a laugh. Equally important to her is the opportunity to teach more, particularly juniors. “I absolutely love to teach,” she said.